Reins has advanced the lowly worm to the highest level by taking many of the techniques that other worms do and making one worm that does it all and does it better. 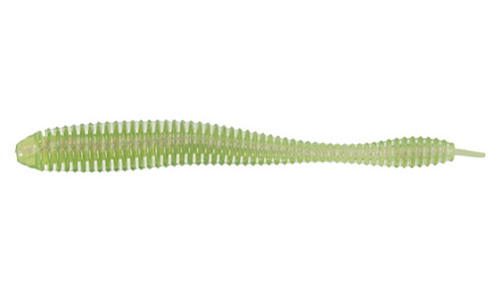 Although the Reins Paddle Tail Worm is new, the many applications for it are mainstream. It is designed to be one go-to worm you can modify to perform many different, basic worm duties in ways that will increase your catch ratio. Reins believes that if you can rig up one worm that does multiple things at different depths in the water column from buzzing the surface to bouncing the bottom, you are always going to be better off, you are always going to be more efficient – and catch more fish on every trip, adding up to dozens or even hundreds more fish each season. That’s what the new Reins Paddle Tail Worm can do for you and that’s why Reins designed it for you. A flipping, pitching and punching worm with flaptail action when hopped and popped in thick cover. A short, straight tail jig worm for use on a mushroom style jig head. The durability, elasticity and texture of the soft plastic material is specially formulated to be able to modify and cut the tail in different shapes with great success and resiliency in fishing it with different modifications. The Reins Paddle Tail Worm performs well with the full range of bass fishing tackle from light 6 lb test spinning gear to heavy 60 lb braid on baitcasting gear depending on what situation and what technique you are fishing it. 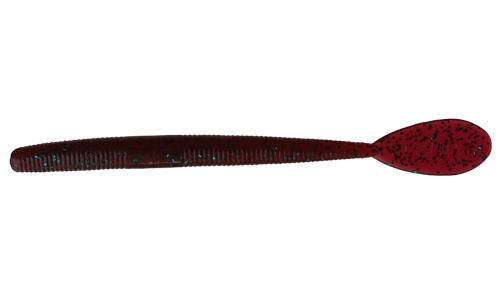 The Reins Paddle Tail Worm comes in all your trusted, proven Reins colors to cover all your worm bases. The proprietary Reins lure scent and fish attractant is infused in the plastic formulation. The Reins scent does catch more fish; it is a scientific lab proven fact that feeding fish respond to the Reins scent better than alternative scents or attractants. The Reins Paddle Tail will make you a better multi-dimensional angler. Most other worms and lures are inherently one-dimensional which limits you as an angler to being one-dimensional. No longer. Thanks to Reins, you now have one worm you may modify into many other worm styles to help you do your best and maximize your results with multiple worm fishing presentations and techniques as you fish around and face different, difficult challenges from one spot to the next.